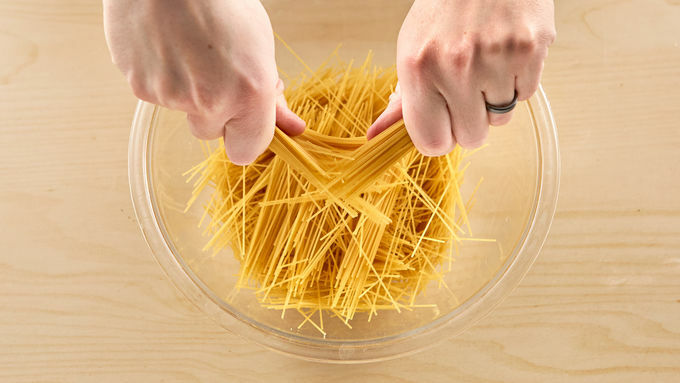 Put the pasta into a large bowl and break it up with your hands into 2 to 3-inch pieces. In a frying pan, add some olive oil and in 2 or 3 batches, toast the pasta on a medium/high heat until browned. Remove from pan and put into a baking dish or casserole. Repeat until all pasta is browned. In the same pan, saute the onion for about 7-8 minutes until softened. Add the garlic and cook 2 minutes. Add the can of green chiles and cook 5 minutes. Add the can of tomato and the chicken stock and bring to a simmer. Pour the mixture over the pasta in the baking dish. Bake at 350°F for about 25 minutes until the pasta is tender. Remove from oven. Top with slices of avocado and crumbled cheese. Serve immediately. With Cinco de Mayo coming up, here's an easy Mexican-inspired idea for dinner! Sopa Seca translates to “dry soup” – which is an odd name for a dish, don’t you think? 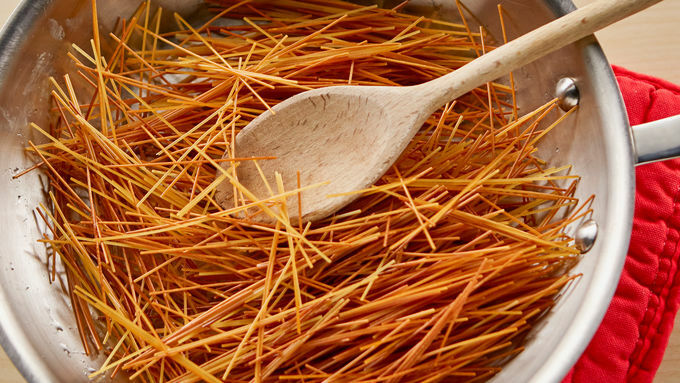 It comes from the process of mixing a basic tomato soup with toasted pasta and allowing the noodles to absorb the liquid until the dish is dried out and the pasta is cooked. There aren't many ingredients in this recipe, which I expected to lead to a boring bowl of pasta. However, toasting the angel hair until it gets nice and browned really adds a deep and complex flavor to the whole dish. I just ate a big bowl of this for dinner, but it would really shine as the side dish for a roasted chicken or grilled flank steak too. I have to be honest with you guys for a minute though. 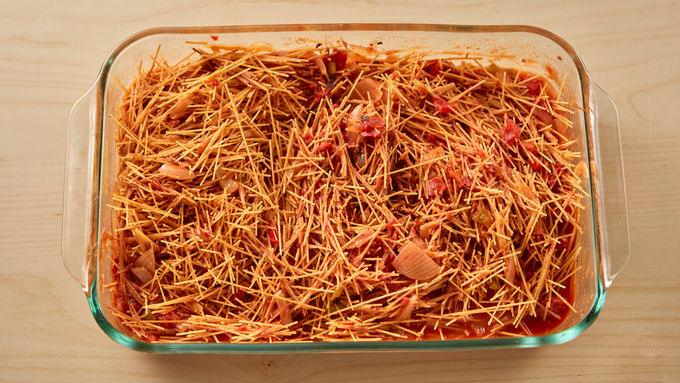 Breaking up the pasta and toasting it can lead to a bit of a mess in your kitchen! The angel hair was flying everywhere as I was smashing it up, and then it was getting all over the place as I was toasting it, too. I found pieces of pasta around the kitchen for the next few days. 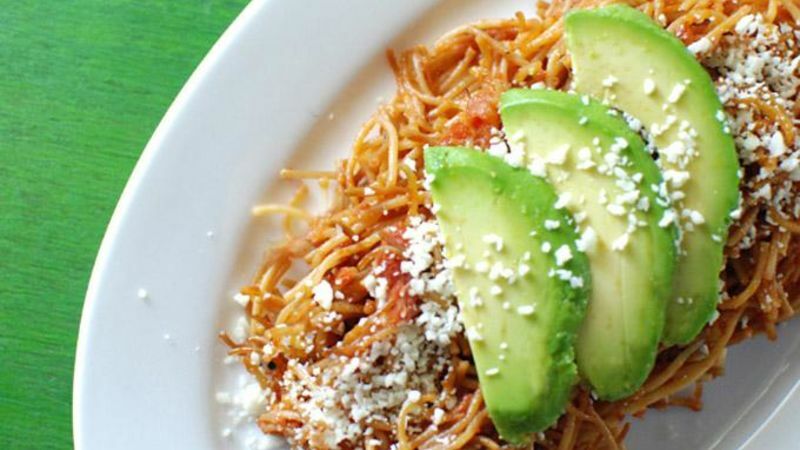 A little cotija and avocado are the perfect toppings.